I have never forgot this statement. I try to live by it’s meaning on my days when I need a reality check about what really is important. And it makes me think deep in my soul about what I’m thankful I have in my life. I am so thankful I can hear so that I may enjoy the sound of my children’s laughter. I’m grateful we have a home so we can sleep warm and children have a safe place to be everyday. 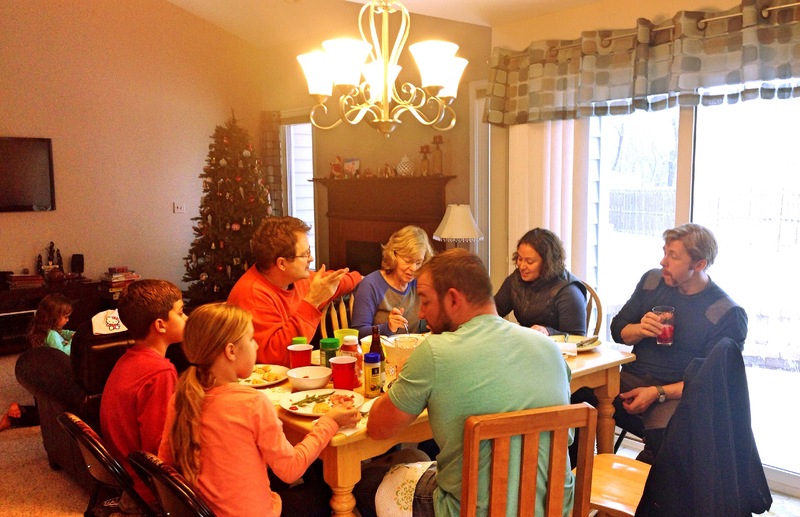 I’m thankful for our community of great friends who look out for me, my children and our best interests. I’m thankful my children are happy and healthy. 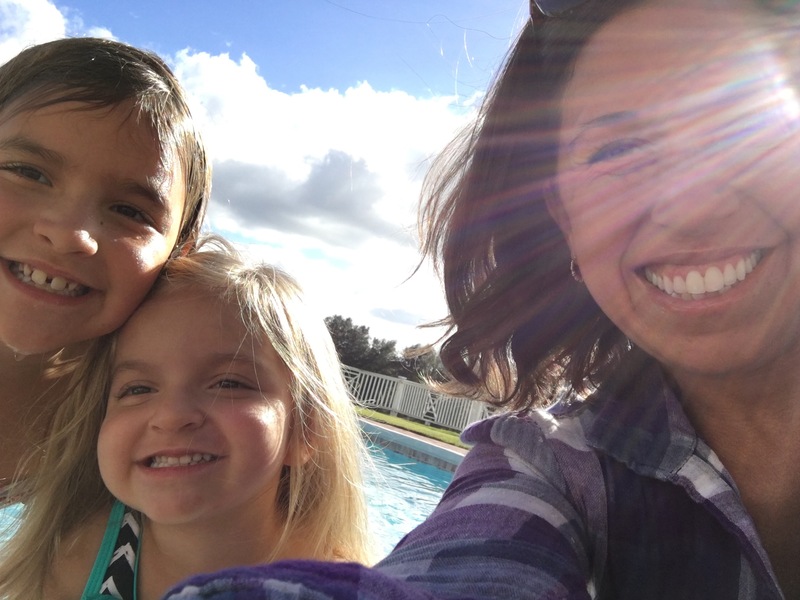 I’m thankful my babies were saved by a system that tests for rare medical conditions and we live in a country where we have access to medicine to keep them alive. I’m thankful to have fund my soulmate and created a life together that brings us such happiness. I’m thankful for the family I have, as they all mean the world to me. I’m thankful for the friends, old and new, that have been brought into my life and have made it better. I’m thankful I have been blessed with one amazing life. We don’t know how long it will last, as every day is a gift. Today, I am humbled and thankful. 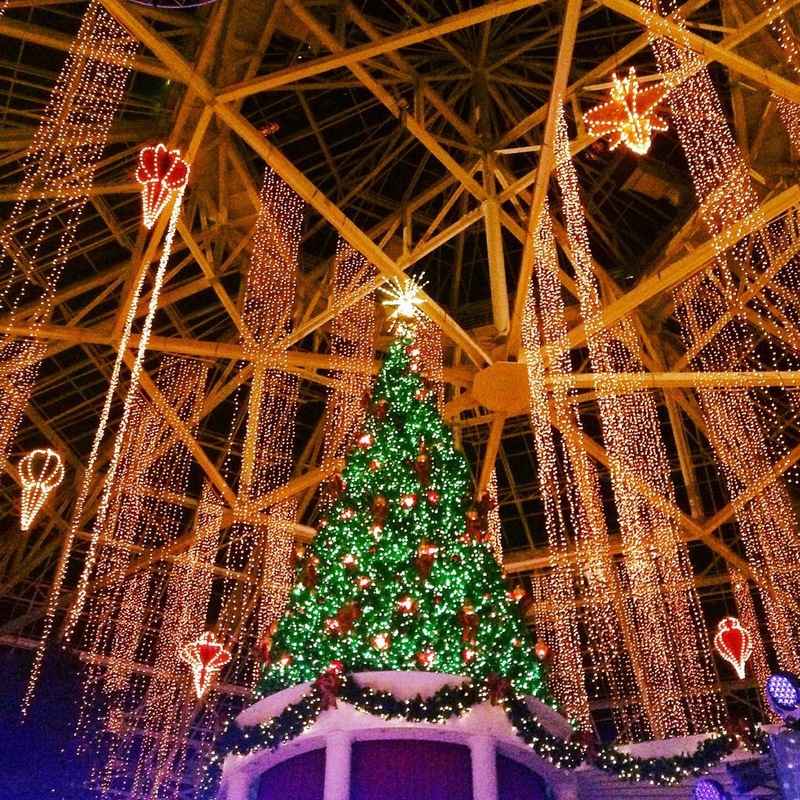 My favorite time of year is here! 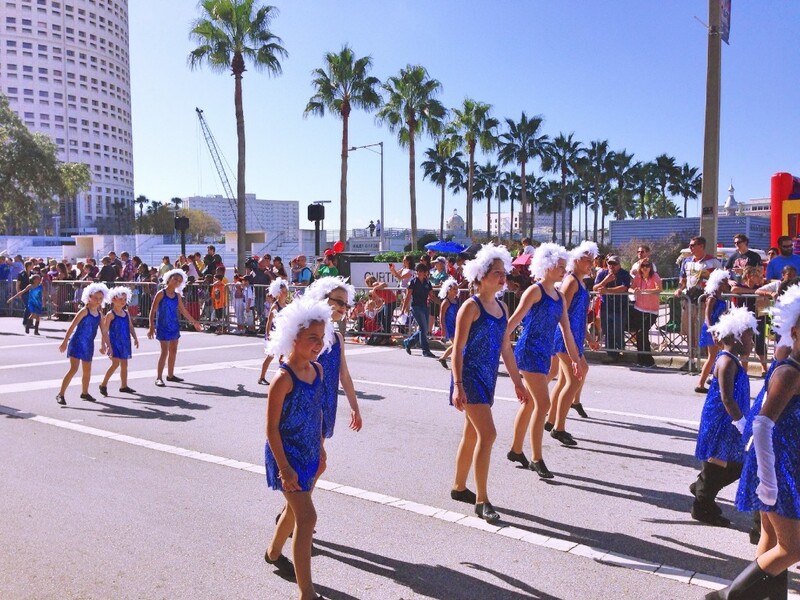 Check out the most updated list for family holiday events happening in Tampa’s Downtown! Updated annually! Here is the list for 2017! 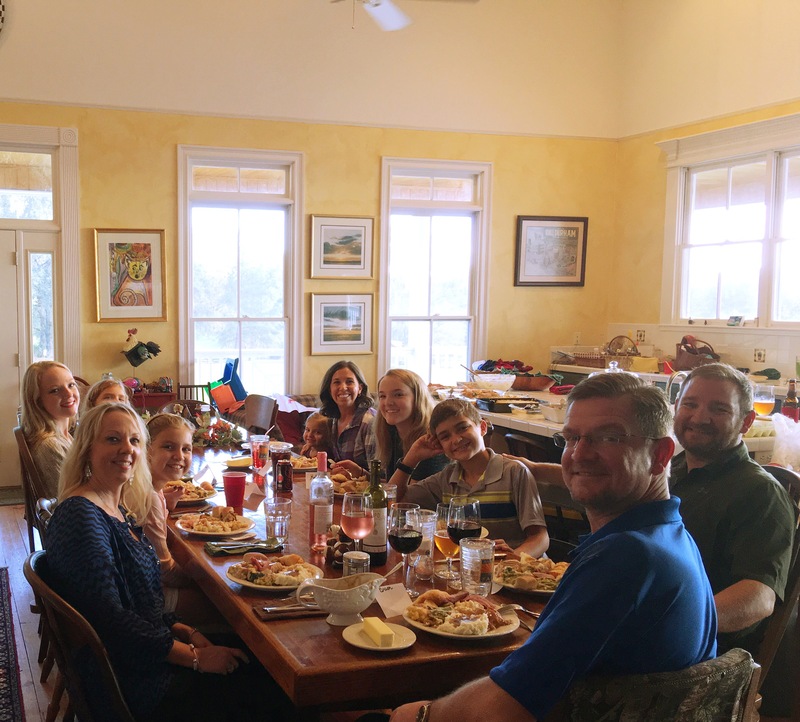 Thank you to Bob Evans Restaurants for sponsoring this post and thank you for reading! As a travel writer, we are typically on the road about once a month. This typically will mean eating out as hotels don’t always have a full kitchen for me to make that homemade meal that I’ll make when we are home. Eating out can also be super expensive when you travel too! 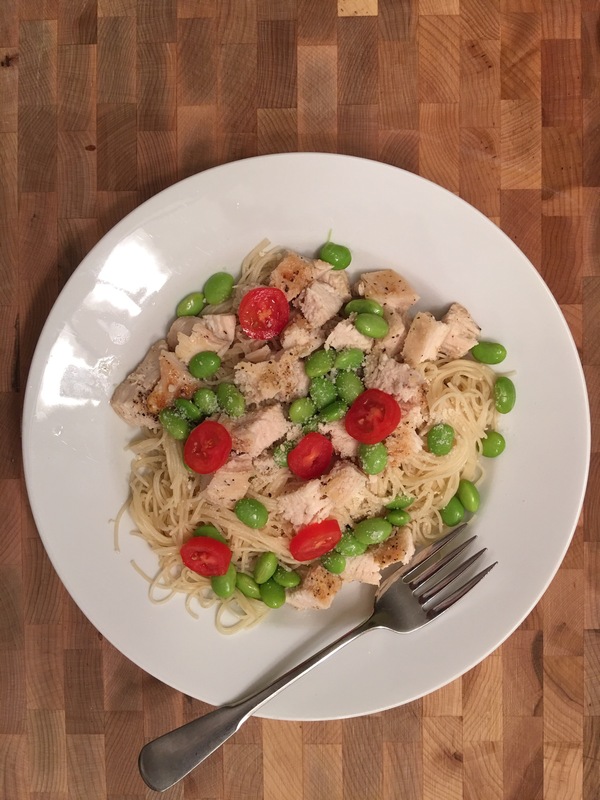 We have our kids share meals and we try not to do the “chicken nugget + French fries” thing too often. 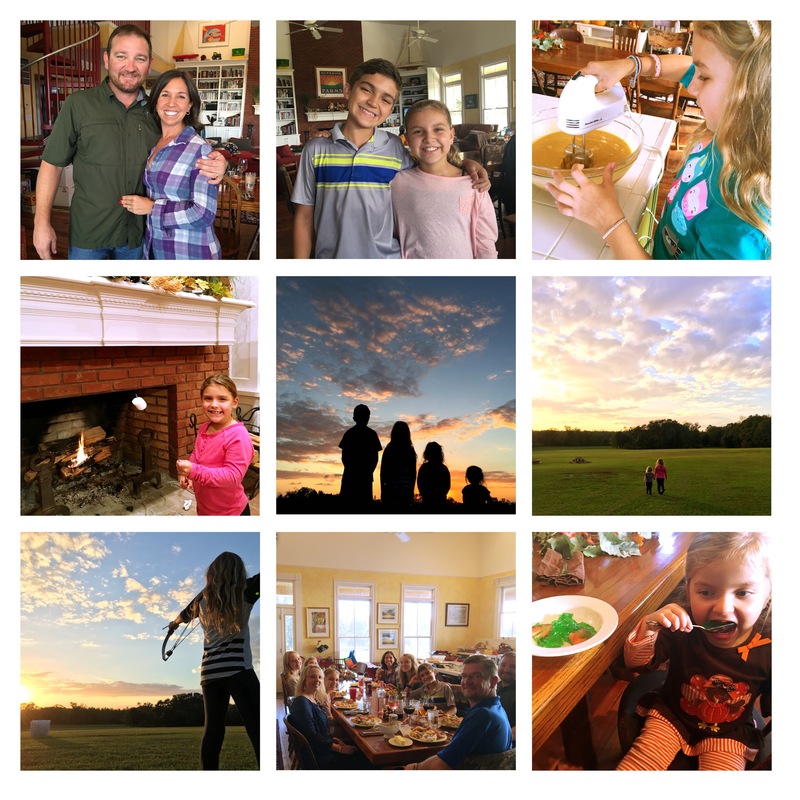 Even if our hotels did have a full kitchen, I’d rather be exploring the new city and spending time making memories with my kids while we travel. Thanks to the Bob Evans Meals to Go, I have truly found the best alternative for us to get our home cooked meal while on the road! 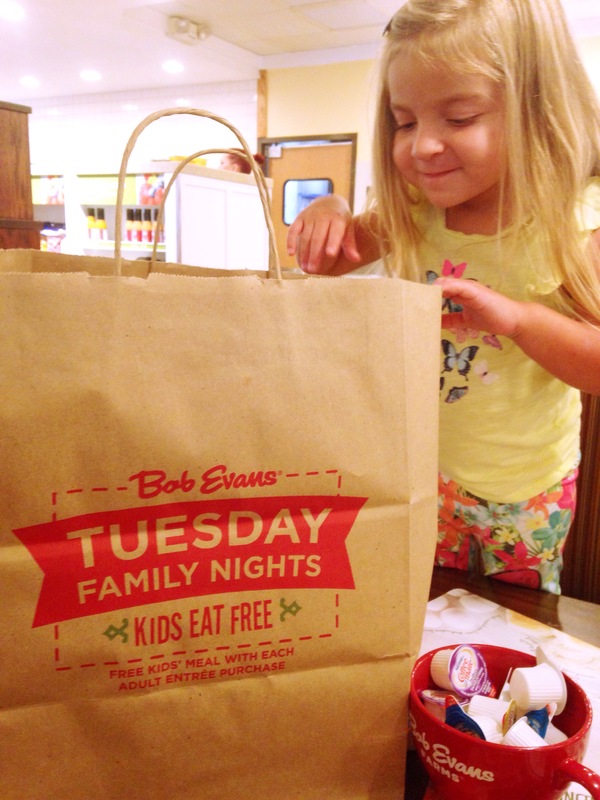 Bob Evans offers Meals To Go for $19.99 or $24.99 that will feed a family of four (but in my case 1 adult and 4 kids)! I can easily feed them with the healthy home cooked meal I would have cooked if we were home. You’ll choose a main dish from the regular menu, one or two sides, your choice of bread and that’s it! We take our meal to go back to the hotel, eat by the pool or in our room in our our jammies! 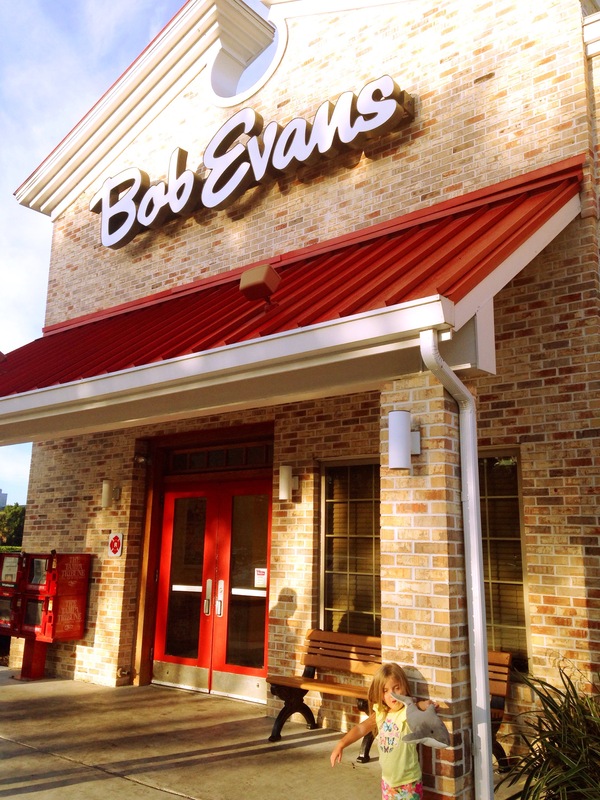 It’s been a life saver to find a Bob Evans near our hotel and that’s pretty easy because they are everywhere! 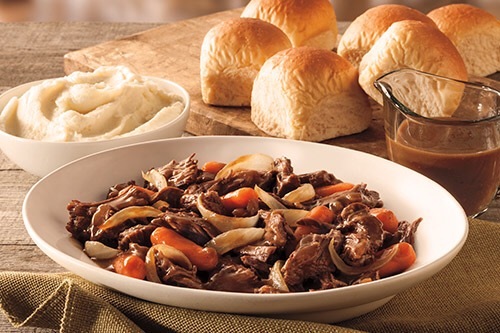 Take the night off, even if you are at home, to try one of the meals to go from Bob Evans! 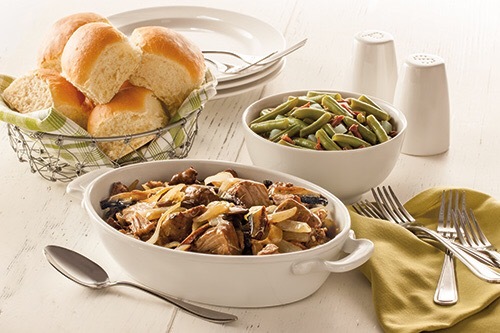 Their slow roasted pork and mushrooms cooks for five hours and is topped with pan gravy. The green beans are just like Grandma made with little bits of ham and onion. Cooked slow and perfect, you’ll savor every bite! Time is what they put into every dish. And as precious as time is, stop by, pick up a Meal To Go, and spend that extra time enjoying the home cooked meal with the ones you love around the table. Family is what matters most. If you loved classic feel-good inspirational movies like Rudy and Hoosiers, you’ll love My All American based on a true story about Freddie Steinmark at the University of Texas. Thanks to my friends at Clarius Entertainment, I have 20 pairs of tickets to give away to the Tuesday, November 10th 7:30pm screening at AMC Westshore. Download your tickets here! Tickets are first come, first serve and the screening is also first come, first serve. We recommend that you arrive early to claim your seat. We can’t wait to see the movie with you! My All American is officially out on November 13th and tickets can easily be purchased on Fandango! I have put together a manual for you so that you’ll have a brief run down of events and schedules, important numbers, medical information, the children’s likes and dislikes, etc. so that way you are prepared for the three days you’ll be here! (It was all my pleasure and the least I could do!) 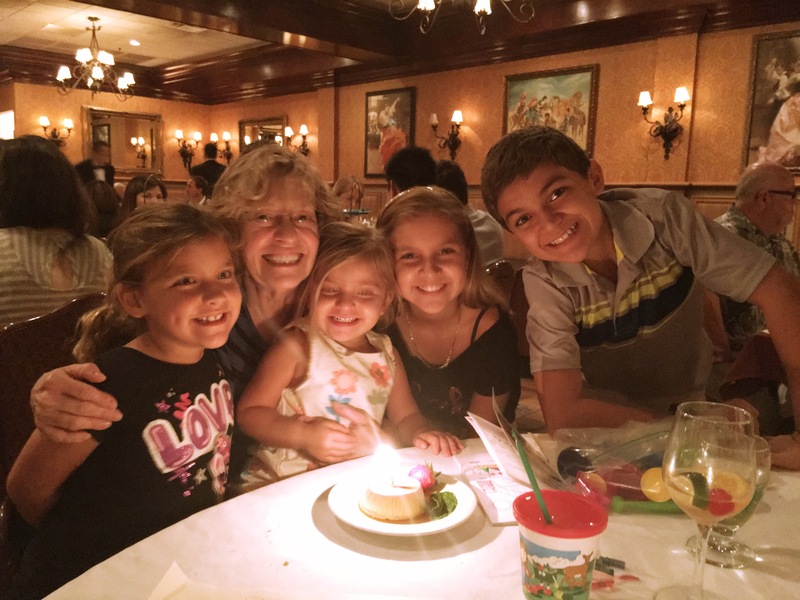 I know you have a college education, two masters degrees and will retire this year from education, but things have changed since you raised me, and I just want to make sure you are properly trained to manage four kids…the right way. It’s not too long (456 pages, single spaced with 10 appendices) and should be read prior to boarding the plane to visit! I have also taken the liberty to brief you here with some of the more top of mind things you should be aware of. I’ve made a brief outline of what is going on for the day, what your responsibilities are, the processes and procedures that take place so we won’t have many “Mr. Mom” moments…i.e “You’re doing it wrong.” Pretty straight forward really. I’ve also included the links to instructional videos that you can reference if you have any questuons about how it actually should be done (what goes in each kids’ lunch, how to cut tomatoes, how to make an “Abby Grilled Cheese” or how to read “Pete The Cat” correctly (because if you don’t do it exactly right, Abby might just melt down and possibly explode! If you remember correctly, I wrote you a four page letter abut 10 years ago when you had first offered to watch our first born child. I think we went to Vegas and I gave you an instruction manual for our then 9 month old. If I remember correctly, you told me you followed everything to a tee, so this should be like riding a bike! So here it goes! Please make sure to print this out, take notes in the columns and have sticky notes readily available to be able to reference the items in the complete instruction maual that I have Fed Ex’d to you yesterday. 9:00am– Short breakfast meeting to go over any questions that may have arisen after reading manual. All notarized paperwork should be turned in. 11:00am-Return home to begin training. “How to Fix Abby Lunch” will be first on the schedule. 12:00pm– Training continues with “How to Put Abby to Sleep”. It is important to follow proper steps (on left side with blanket tag in hand) or the sleep process might not happen if not followed completely. We advise you take notes, pictures or video to remember. 12:15pm-Training continues with a house tour to guide you through where everything is. 12:30pm-Training continues with a “How to Cook Dinner” Tutorial. Approved menu options can be found on Appendix D in the Instruction Manual. 1pm-Training continues as you prepare to get ready for afterschool pick up, homework, sport practices and afternoon chores. 1:15pm-Training continues with chore list expalniation. Please refernce appendex E for what chores are to be done daily. 2:00pm– Get ready to leave. Pack cooler with snacks for after school. Bring pencils to do homework in car. 2:30pm– Pick up #1: Shelby. Have a snack and do homework in car. 3:15pm– Pick up #3: Jake. 3:45pm-Training continues with homework, dinner prep and after school activities. 5:00pm– After school activities begin. Please see appendix C for schedule of after school activities by day. Home work will need to be completed with each child individually. We find that the “new” homework takes twice as long and you might need to pour yourself a cocktail while assisting the children with their common core math homework. Should you need assistance in finding an answer (because you cannot understand the problem) we suggest you ask your Facebook friends for assistance. There is no other alternative. 7:00pm-Meal training. Please see list of organic, free-range and approved meal options. Dinner must be a 4-course meal, chosen from the approved list of meals and must be served at 7:00pm. 7:10pm– Training continues for clean up and bedtime routine. 7:30pm-Watch an approved show from the list of approved television shows (see appendix D). 8:00pm– Read books. The children may choose a book from the approved list (see appendix E). 8:35pm-Laundry (washing, folding putting away), next day preparation-back packs, lunch prep, breakfast/ morning prep & house cleaning. Please see the checklists for each activity and follow accordingly. 11pm-Take Abby to the bathroom. Should you miss this step, there might be consequences as she is still potty training. 11:15pm-Sleep. But be aware that there might be middle of the night training as nightmares or accidents might occur. 5am-Wake. Begin morning routine training. Coffee is mandatory. Please be showered and ready at this time and meet in the kitchen. 5:15am-Begin to finalize lunches and backpacks. 5:30am- Begin to prepare the children’s breakfast or homemade organic waffles, fruit, freshly squeezed juice and grass-fed bacon. 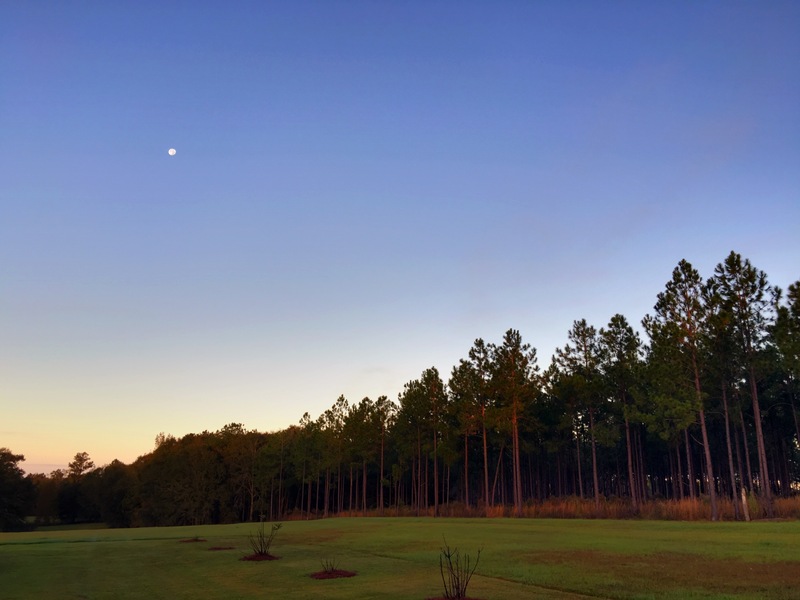 6:30am– Make sure everyone is up and getting ready. 8am-Drop off. Begin day with Abby. But in all honesty, none of this really matters. As long as my kids are in your care, you have my blessings to do things your way. You raised me just fine and I know you’ll have the most amazing time with these kids doing whatever it is you want to do. I Hope you throw this list away. I hope you make memories with your Grandkids and that you have a most amazing time just hanging out. Take them out of school. Give them donuts for breakfast. Let them sleep in your arms. Let them know that you love them and make memories that they will cherish forever. I cannot thank you enough for watching over them. I love you to the moon and back, Mom. Have a great time with the kids. I have a friend who visits a fallen soldiers family every Veterans Day. I see her pictures tell a story of how this solider have so much for our freedom. For the millions that have severed our country to keep our land safe and honor our freedom, I have the utmost gratitude and appreciation for what they and their families have given to us. A thank you is simple and easy but it’s always nice to know when others who can do more do. It’s a small justure. A hair cut. It might not seem like much, but to someone in need, it might mean so much more. Everyone needs a little help sometimes, and businesses like Hair Cuttery are doing their share to give back yo those in need they way they can. 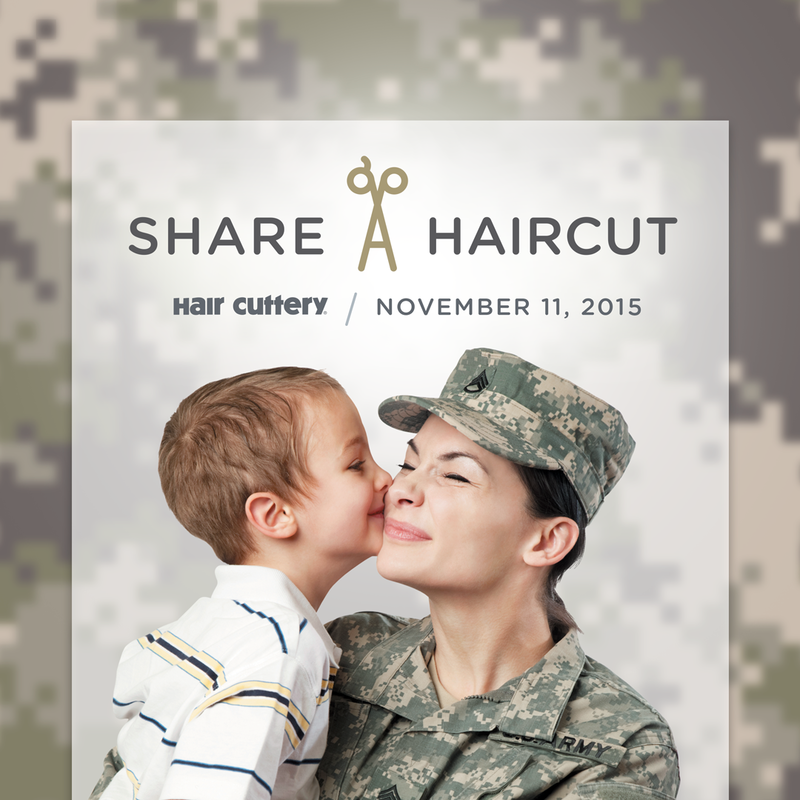 As we celebrate Veterans Day this Tuesday, November 11, for every adult hair cut that is purchased a donation of a hair cut certificate will be given to a veteran local organization to reach those in need. They hope to help 25,000 veterans this year. This is s great way to give back doing something you’d normally do anyway. To find a Hair Cuttery location near you visit them here. Thank you Hair Cuttery for sponsoring this post and letting our readers know about this easy way to give back and help someone in need.